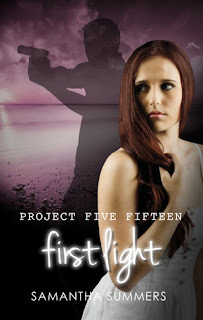 Today, I'm happy to be one of the hosts to kick-off the Project Five Fifteen Blog Tour! First Light on Goodreads here. As You Were on Goodreads here. The romance was perfect, definitely satisfied the huge romantic in me! I loved the way things developed between Kalen and Ronnie in First Light, and was thrilled to see them together in As You Were. Kalen is definitely book boyfriend material. He's gorgeous and mysterious, all he really wants to do is keep Ronnie safe, even if that means he has to let her go. Ronnie is a great heroine, she's strong and level headed and my heart went out to her at the beginning of First Light with the loss of her father. As a side note: I absolutely LOVED the way Kalen and Ronnie are first introduced to each other, he swoops in with 20 pounds like a Knight in shining armour, and I loved it! I must admit, I was pretty jealous of Ronnie through much of First Light, and As You Were, simply because she got to be around so many attractive young men, seriously, it's not fair! Haha. Putting the romance aside, what I really appreciated about the Project Five Fifteen series, is Samantha's writing style. It flows easily through the pages and the pacing of the plot is perfect. I believe each book could, easily, be a single-sit-through read for non-reluctant readers. 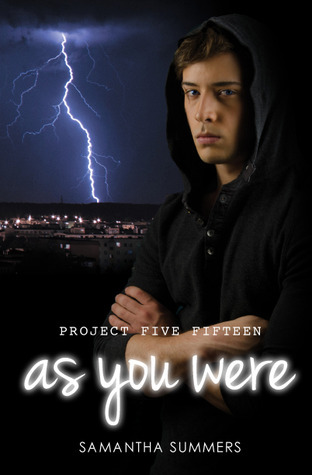 It was also a nice change of pace to read a YA book set in London, England. I will definitely be continuing this series and can't wait to read book #3, Becoming! 2 winners will win a signed copy of both books and a T-Shirt. 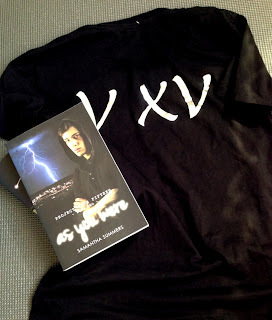 Special thanks to Samantha and Xpresso Book Tours, for allowing me to participate in this blog tour! Warning!!! This is a New Adult title, and as such will contain some explicit/mature scenes and dialogue. Recommended for those 16+. Strong start, but lost a lot of its steam towards the end. 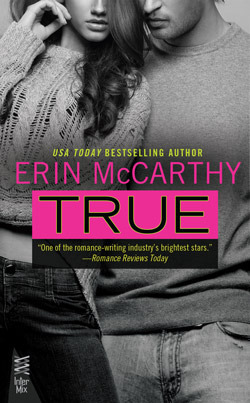 I really enjoyed the beginning for True, Tyler and Rory had such a strong chemistry and I found Rory easily relatable, but from the middle towards the end, the plot just sort of lost its magic for me. While I appreciated McCarthy for not taking the cliche approaches towards Rory and Tyler's relationship, I still felt like Rory lost a lot of backbone with regards to Tyler and her friends. I really wanted to shake her at times and be like, "this is not ok". I loved the family bonds in this story though, and truly appreciated how close Tyler and his brothers are. I felt so sad for Tyler with regards to the weight he carries on his shoulders, and while I think what happens to him is probably very realistic, it still made me upset with the injustice of it all. The ending really left much to be desired for me, it was far to rushed and I was a little confused with the decisions these two made with regards to their relationship. I know that there are a few companion novels planned for this series, and I may read them in the future, but I'm in no rush to pick them up. This was my first book by Erin McCarthy, so if you're familiar wit her work, you may enjoy this New Adult debut, despite the fact that it lost a lot of its steam. (the protagonist of her favorite novel, A Tree Grows in Brooklyn), Rucy fell in love with the written word. Rucy has a B-school degree in Marketing which she now puts to good use teaching lovable rowdy rogues and negotiating with her equally belligerent adolescent. 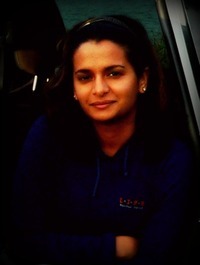 In her previous avatar, she handled corporate communications for companies. At present, Rucy lives in Sao Paulo, travels often, speaks decent, if not quite fluent, Portuguese and really hates talking about herself in third person. Special thanks to Rucy for allowing me to participate in this tour!